Classic punk fans, get ready to empty your wallets. 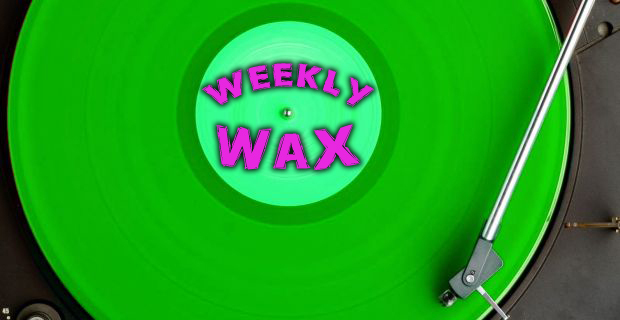 This week’s edition of Weekly Wax is full of reissues from the golden age of the Epitaph Records catalog, including early releases by Pennywise and Millencolin, as well as the first Punk-O-Rama compilation. That’s not all: Fat Wreck Chords also launched preorders for a box set containing the first three albums by California’s Strung Out. If you’re too young to remember those genre-defining releases, you just might jump at the chance to finally own Good Charlotte‘s self-titled and The Young and the Hopeless on wax. The two albums are available now from Enjoy The Ride Records. As always, this week saw news about quite a few other records, both familiar and new, to add to your collection, so check out the full roundup after the break. Pop Market is giving away $800 worth of vinyl. Enter the contest here. Spraynard will be releasing a rarities compilation featuring one brand new song in May. They will also be playing a reunion show. Counterparts‘ debut album, Prophets, will be coming to vinyl soon. Chuck D of Public Enemy will be this year’s Record Store Day Ambassador. Fall Out Boy‘s Infinity On High will receive a new, non-picture disc pressing this spring. It will be limited to 2500 copies on clear blue with white splatter. Death Waltz Recording Company will be reissuing the soundtracks for cult-classic television show Twin Peaks and its accompanying movie, Fire Walk With Me on cherry and coffee-colored vinyl, respectively. Modern Vinyl is holding a contest in which you can win test pressings of the recent Good Charlotte reissues. The contest is open until tomorrow, February 16, so act fast.